When asked to describe it, one tends to find a variety of vague and often conflicting responses. 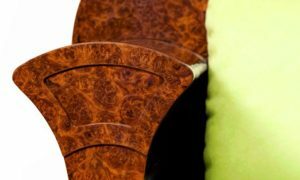 Some will describe a style consisting of clean lines and sparse ornamentation while others will comment on what they perceive as fussiness and complicated features. Depending on the historical perspective from which one views the style, both answers are correct. On many pieces there is a simplicity and elegance of line that stands out as stylistically significant, even if one can't identify the style. While on other pieces carved roman faces on pilasters and elaborately carved and colored feline feet and carved chimeras can come across as elaborate and far from simplistic. Biedermeier is all of these. The period, roughly 1815 to 1848, was focused primarily in Germany which at the time included what is now known as Austria. But the style also expanded north to include a strong presence in Scandinavia. This period marked the end of the Napoleonic wars which had ravaged Europe and caused considerable uncertainty as to the health and viability of many countries and their inhabitants. The ensuing peace gave rise to the development of a European middle class of homeowners, craftspeople, academics and artisans who were able, for the first time in years, to contemplate a stable home life with furnishings and decoration that reflected a growing prosperity. To mark the passing of a pervious era, decoration and design moved away from the elaborate Napoleonic French Empire style to a simpler style reflective of more utilitarian principles as well as local sourcing of materials and craftsmanship. 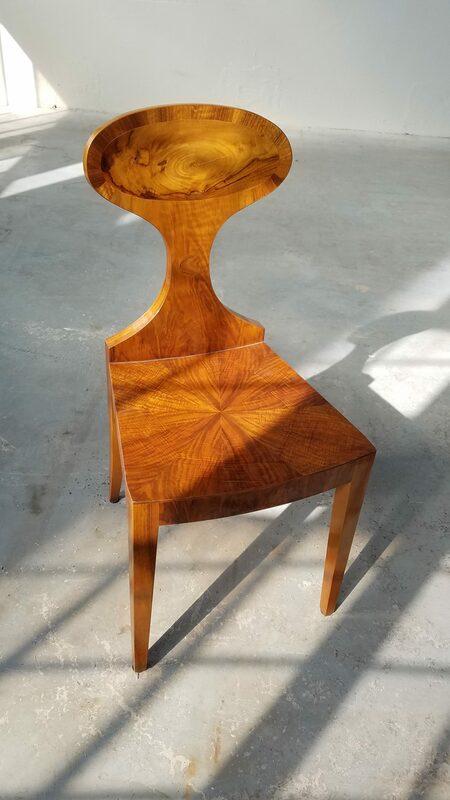 While in comparison to the current emphasis on mid-century modern and Danish style, many Biedermeier designs can seem elaborate and overly detailed. But one must remember that the core style grew out of a rejection of a much more complicated, fussy and "foreign" style and reflected a return to simplicity and utility for a growing middle class. 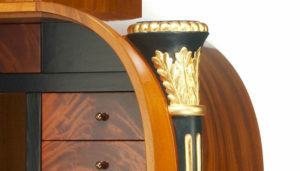 If one explores the wide variety of designs within Biedermeier one can find examples that look quite modern, with gentle curves and flourishes that identify the style as unique. "Biedermeier furniture" seems available everywhere. This especially includes mass merchants offering "Biedermeier" in a wide variety of affordable price points, mostly sourced in Asia. 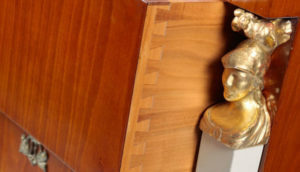 However the true elegance of Biedermeier is found in extremely subtle details, including the gentle curve of a chair leg, the subtle use of metal as ornamentation, the extreme delicacy of wood inlay and the sophisticated sweep of an arm. 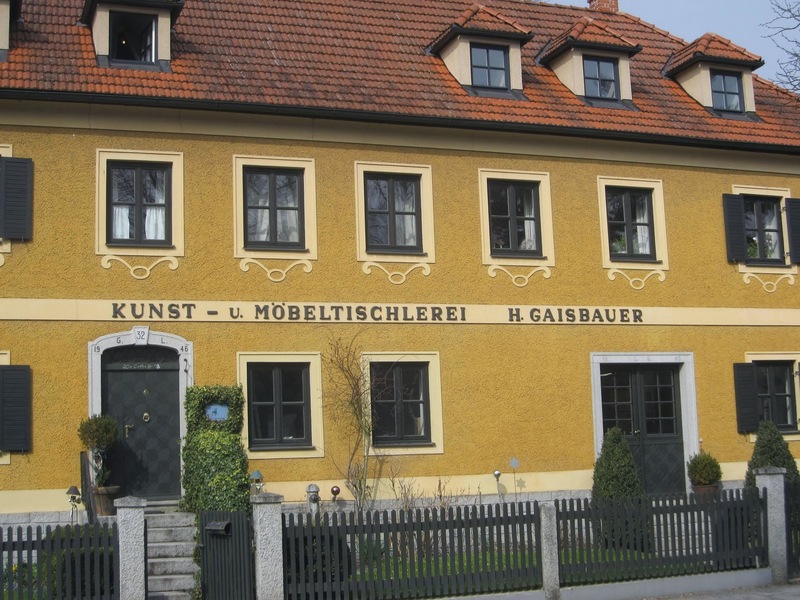 True Biedermeier is not so easily duplicated. One must have a feel and an understanding of proportions and the values of the time period to be a true Biedermeier Specialist.